AMMONNEWS - The Ministry of Foreign Affairs takes note of the halt in legal proceedings against Hakeem Al Araibi in Thailand. The guilty verdict against Mr. Al Araibi remains in place and Mr. Al Araibi holds the right to appeal this court verdict at Bahrain’s Court of Appeal. The Kingdom of Bahrain reaffirms its right to pursue all necessary legal actions against Mr. Al Araibi. The decision to issue an international arrest warrant stems from Mr. Al Araibi’s decision to flee while awaiting trial. Mr. Al Araibi was granted bail and prior to his court hearing, was also granted special permission in December 2013 to travel to participate in a football tournament in Qatar, during which he absconded to Iran. In addition to violating the terms of his bail, Mr. Al Araibi also took advantage of a special consideration granted to him as a sportsman. The issuance of international arrest warrants is standard practice for all Interpol member countries and a vital mechanism for fighting crime. Mr. Al Araibi, as with defendants in all criminal cases in Bahrain, is guaranteed full legal rights and protections with full access to proper representation. 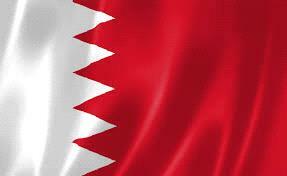 On 6 January 2014, Mr. Al Araibi was convicted of a number of offences under Bahrain’s penal code. He was not present to defend himself or to refute the charges against him of possessing incendiary devices, having been involved with others in an arson attack and causing damage to property. Mr. Al Araibi holds the right to appeal this court decision if present at Bahrain’s Court of Appeal, as others involved in this case have done so.